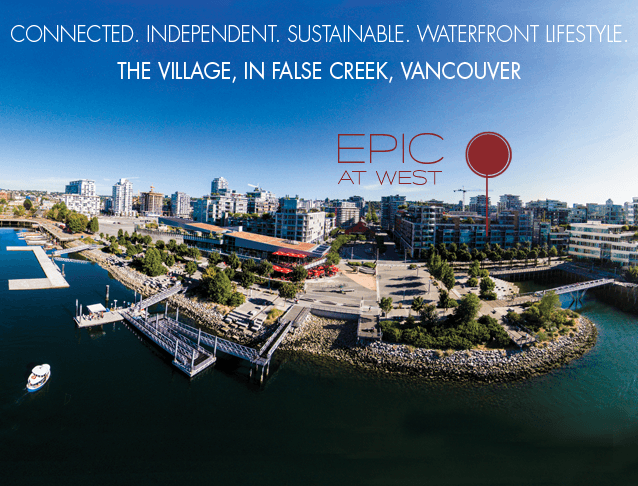 Epic at West is a new condo development in the False Creek neighbourhood, known by some as Olympic Village. Epic at West is currently in construction by Executive Group Development. Located at 1788 Columbia Street, Vancouver, this is the final phase (third phase) of Epic at West development. The final phase, a concrete frame building, will consist of 18 stories and 120 units comprised of a mix of junior 1 bedrooms, 1 bedroom, 2 bedroom, and 3 bedroom units. Prices start at $349,000 and have already begun selling. Project completion is estimated for October 2017. Besides being located in a prime Vancouver neighbourhood just a quick hop over the Cambie bridge into Downtown Vancouver. 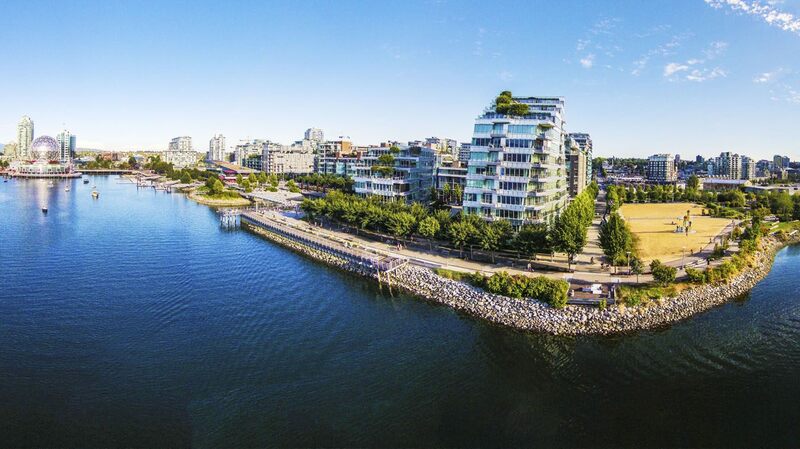 Enjoy all that Olympic Village has to offer, including scenic walks along the False Creek seawall. Some of the features included at Epic at West include, 8500 square foot rooftop patio, clubhouse with kitchen, media and dining room, children’s area, communal planters, fully equipped fitness centre, dog spa and wash room, two zip cars, visitor parking, and lobby with concierge services. False Creek Waterfront also known as Olympic Village.